Two Palestinian students were injured yesterday after more than 20 armed Israeli settlers raided a Palestinian school in southern Nablus in the northern occupied West Bank yesterday. Ghassan Daghlas, an official who monitors settlement activity in the northern West Bank, told Ma’an that Israeli settlers from the ultra-right wing Yitzhar settlement raided the school in the Burin village under the protection of Israeli occupation forces as students were taking their final exams. 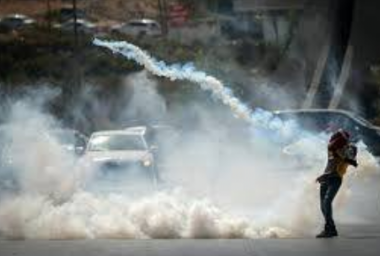 Daghlas said protests erupted in the village as a result, with Israeli forces shooting live fire, rubber-coated steel bullets, tear gas and stun grenades in to the school grounds, causing more than 20 students to suffer from severe tear-gas inhalation, and injuring two with rubber-coated bullets. Several students were transferred to hospital for treatment. Israeli settlers also damaged two vehicles and the windows of several rooms. Head of the Popular International Committee to Support, Dr Essam Yousef, urged the UN to carrying out its duty of putting an end to the suffering of over two million people in Gaza on the ninth anniversary of the Israeli war “Operation Cast Lead” and the passing of over ten years since the unjust blockade was imposed on the Strip. In a press release issued, Yousef said the international community is hurting itself and its reputation by continuing to turn a blind eye and ignoring the blockade imposed on Gaza and the resulting humanitarian disaster. This is especially true because one of its main duties are to preserve world peace and implement international laws, conventions and charters, especially those related to humanitarian issues. He called on the international community to pressure the Israeli government to lift the blockade on Gaza and put an end to the suffering it has caused in various aspects of life, including the health, education and social sectors. The successive Israeli wars and attacks on Gaza, which coincide with the crippling illegal and inhumane blockade over the past years, have resulted in a true humanitarian crisis in every sense of the word. Yousef stated that the humanitarian crisis in Gaza has manifested itself in various forms, including the issues faced by the health sector, as a result of a shortage in medication and medical supplies and equipment. Employees have also stopped coming to work since they have not been paid for a long time, and this has led to the health sector being unable to provide its services in a proper manner. Palestinian factions must make ending the suffering of the Gazans a priority, he added, along with the other challenges they are facing as a result of the developments in the political arena regarding Jerusalem after US President Donald Trump’s recognition of the occupied Holy City as Israel’s capital. He also called on the Palestinian factions to quickly complete the pending national reconciliation and to announce the final agreement in order to end the division. The most important result of this agreement would be opening the doors to the Gazans allowing them to move freely to and from the Gaza Strip, to receive all the basic needs for life, and get the economy moving. Yousef also requested that Egypt open the Rafah crossing permanently, making Cairo the initiator and pioneer in ending the blockade imposed on Gaza. A Palestinian student in the UK thought he was going to die after being severely beaten in a racially aggravated attack on Christmas Eve. Ihsan Abualrob, a student at Durham University, said he was kicked in the head and body by three men outside a pub in the city on Sunday after wishing someone a “Merry Christmas”. The 27-year-old, who had gone to the pub with friends to celebrate his first Christmas in the UK, was then approached by a man asking where they were from. After leaving the pub, Abualrob said he was approached by three men who started to insult Islam. In response, he said: “Merry Christmas, enjoy your holiday.” The men then proceeded to attack him and his friends. At one point I lost consciousness. I was helpless and thought this was the end of it. It was so scary and frightening. Abualrob, who is studying for his a Masters degree in politics and international relations as part of a UK government scholarship programme, said he was left badly shaken by the experience. The student was taken to University Hospital North Durham where he was treated for his injuries. Police have confirmed three men have been arrested on suspicion of racially or religiously aggravated assault in connection with the incident. 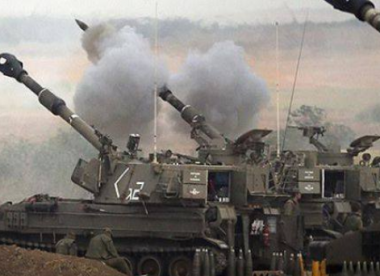 In addition, the Palestinian Health Ministry has reported that Israeli soldiers shot at least 143 Palestinians, including 43 who were shot with live fire, three of them suffered very serious wounds, after the army attacked hundreds of protesters, marching near the border fence in several parts of the besieged Gaza Strip. Furthermore, the soldiers shot three Palestinians with live fire, and caused dozens of suffer the effects of teargas inhalation, after the soldiers resorted to the excessive use of force against dozens of protesters, in Hebron city, the al-‘Arroub refugee camp, in addition to nearby Sa’ir and Yatta towns, in the southern part of the West Bank. The Israeli occupation forces (IOF) on Thursday afternoon kidnapped a Palestinian woman along with her son as they were going to a court hearing held for another son of hers at the Salem base’s military court, west of Jenin in the West Bank. 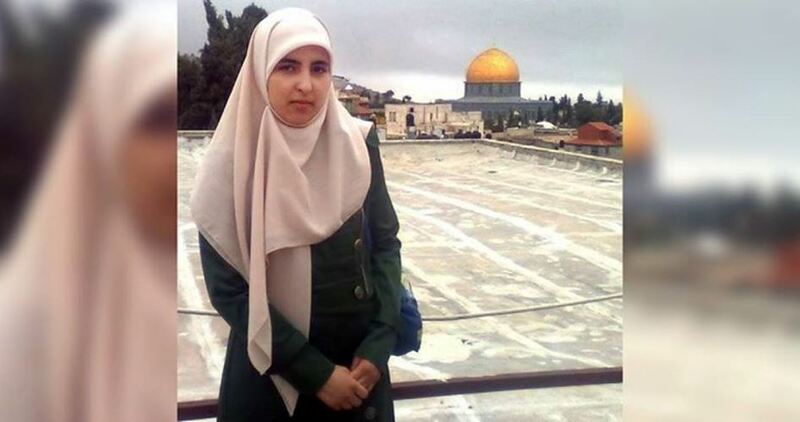 Local sources told the Palestinian Information Center (PIC) that Haneyya Sharay’ah and her son Walid Sharay’ah, residents of Nablus, were taken prisoners by soldiers at the main checkpoint leading to the military base of Salem, where the court is located. The sources added that the IOF suspended the movement of citizens at the checkpoint for a while and took the woman and her son away, without stating a reason for their detention. 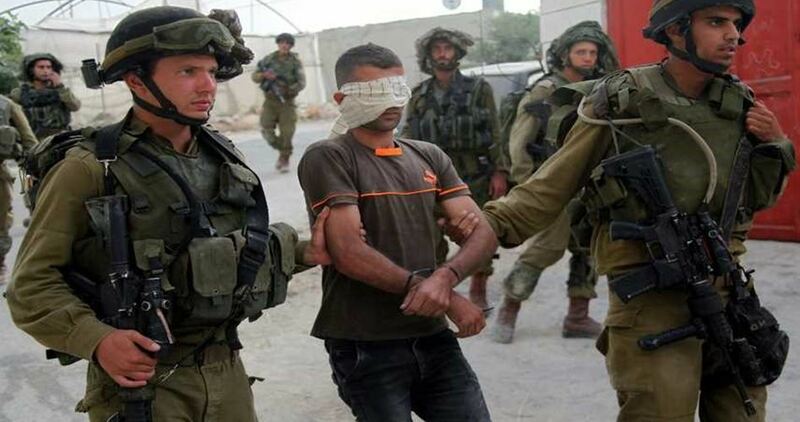 The Israeli Occupation Forces (IOF) have doubled over 2017 their arrest campaigns and night raids into Palestinian towns and cities in West Bank as well as their attacks on Gaza, rights sources revealed. 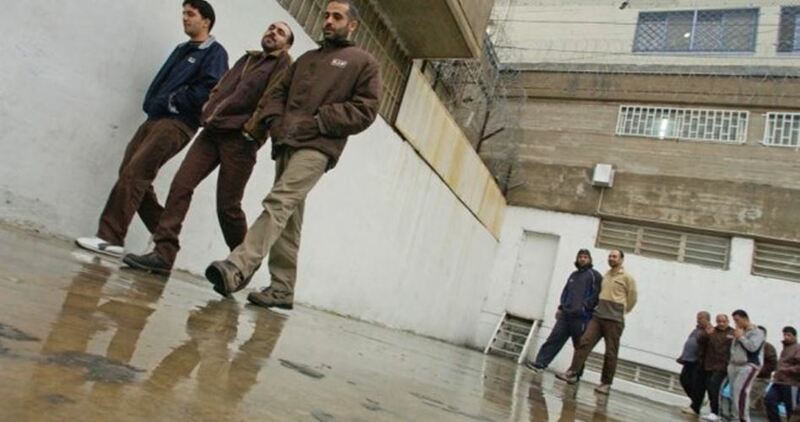 Head of Palestine Center for Prisoners’ Studies Rafat Hamouda affirmed that 6400 arrests were carried out during 2017. The arrests were reported during night raids, at military checkpoints, and military incursion, the sources added. Hamouda called on international organizations and the international community to put an end to Israeli unjustified and illegal arrests against Palestinians including children and MPs. Ahed Tamimi’s mother Nariman, who was also featured in the widely shared video had her remand similarly extended until Monday. 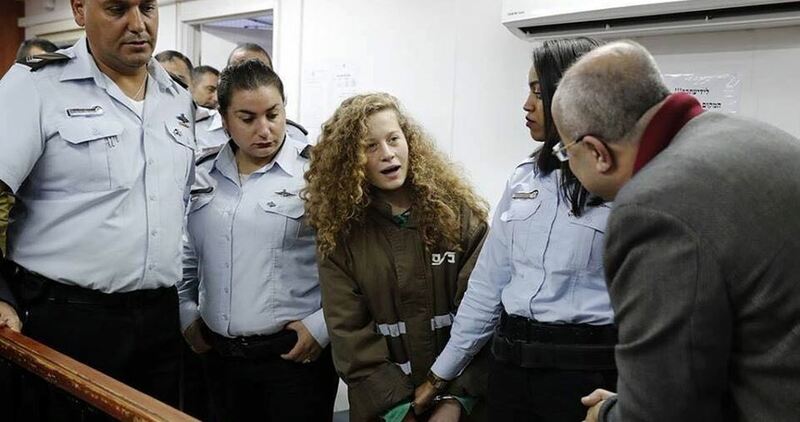 The military court judge ordered that Ahed’s cousin Nour — the third family member in the video — be released for 48 hours and pay a bail of $1,400.